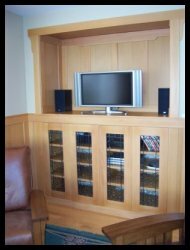 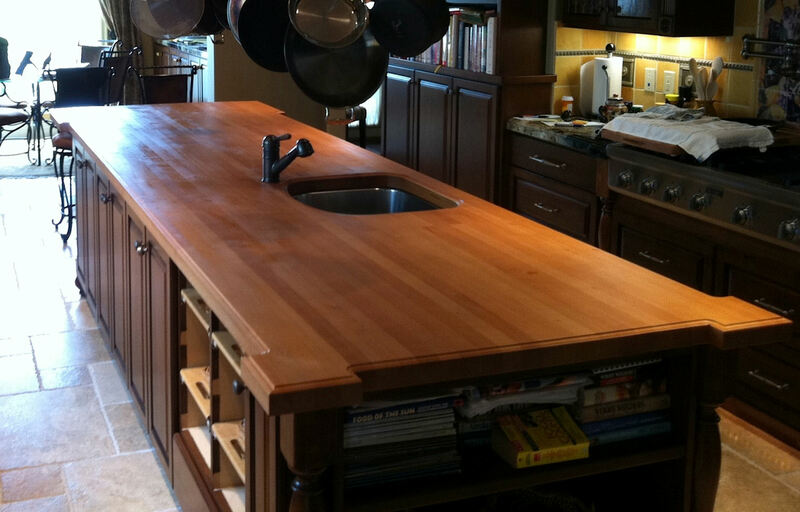 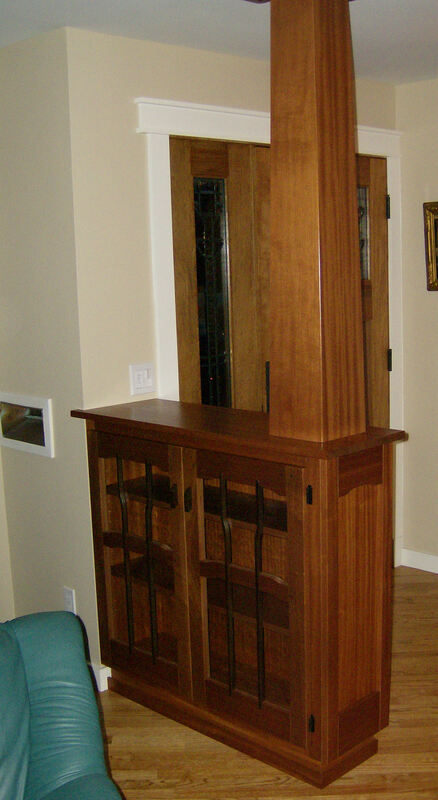 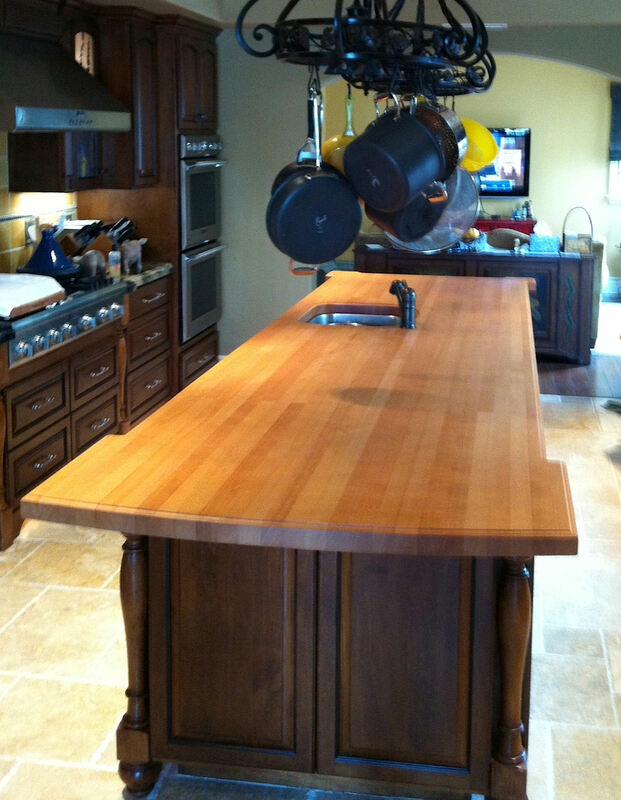 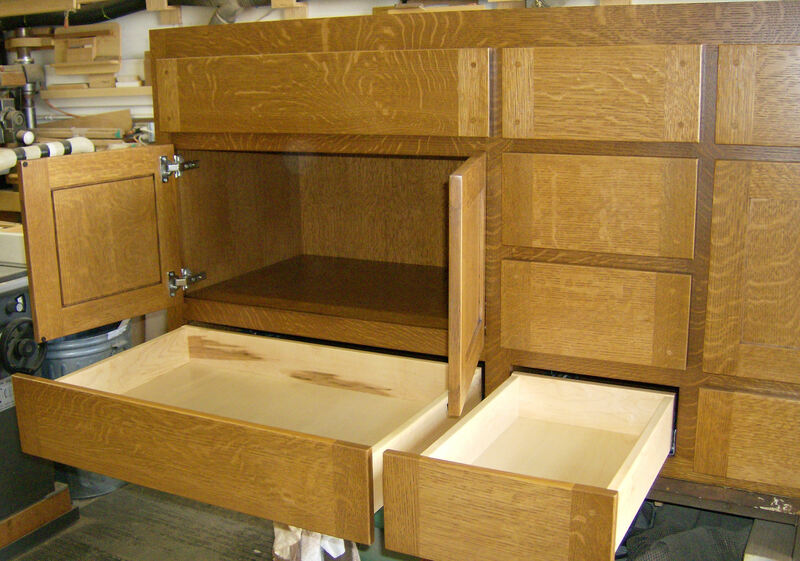 Below are some examples of built-in cabinetry we have constructed for our customers. 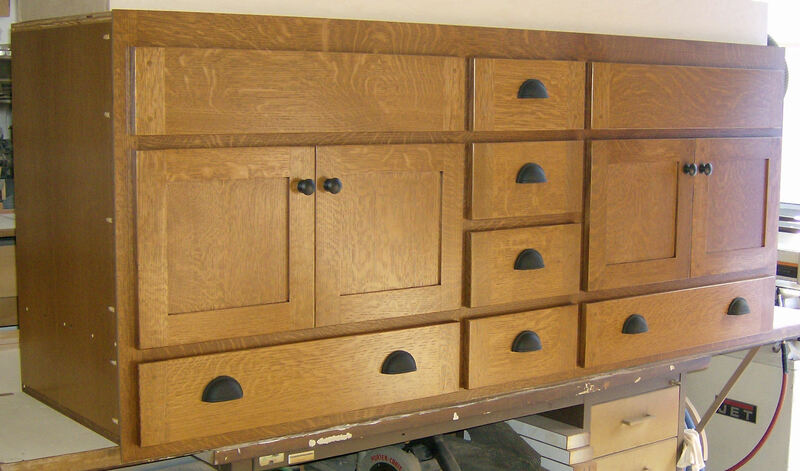 we have drawn from. 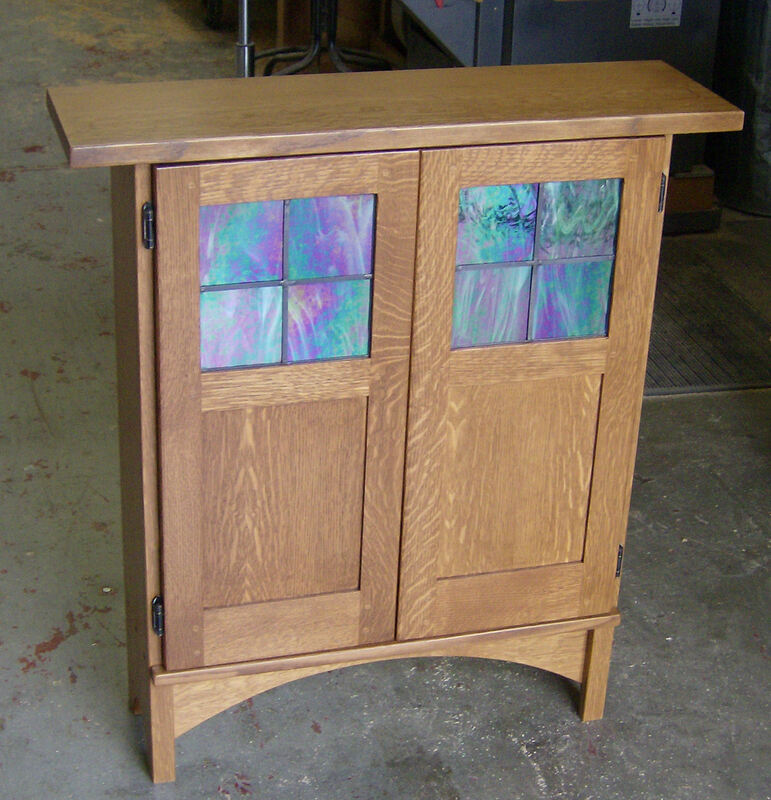 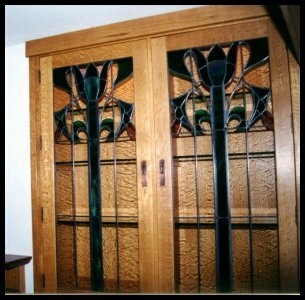 A wide range of details such as inlays and leaded glass can be incorporated into this type of cabinetry. 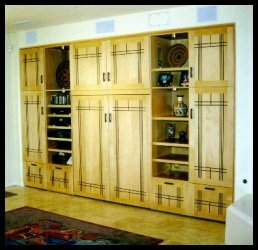 Just because you have modern amenities doesn't mean you can't retain an authentic feel in your home. 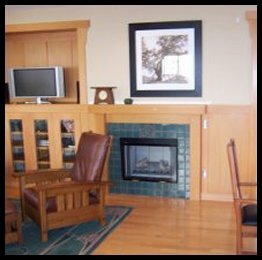 Treat your Bungalow to something special! 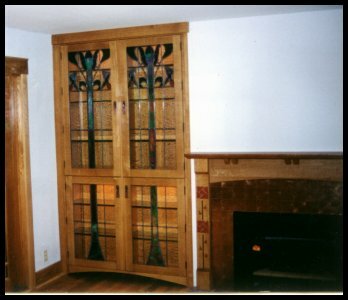 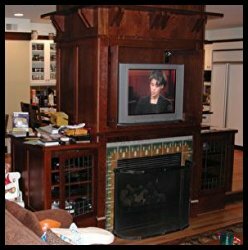 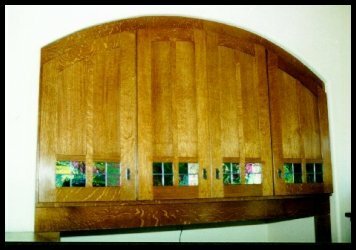 Please call us if you would like a quote on Arts & Crafts style built-ins for your home. 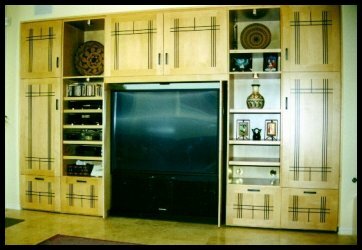 Niche Cabinets Furniture grade cabinets for entries and display areas. 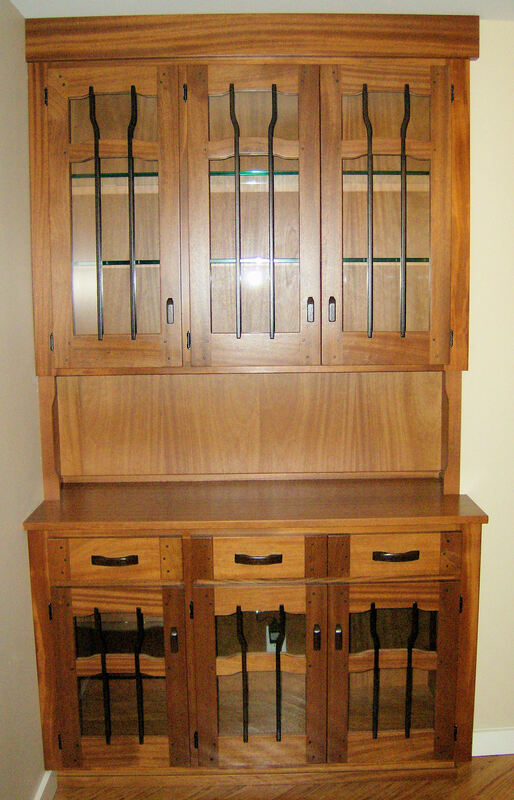 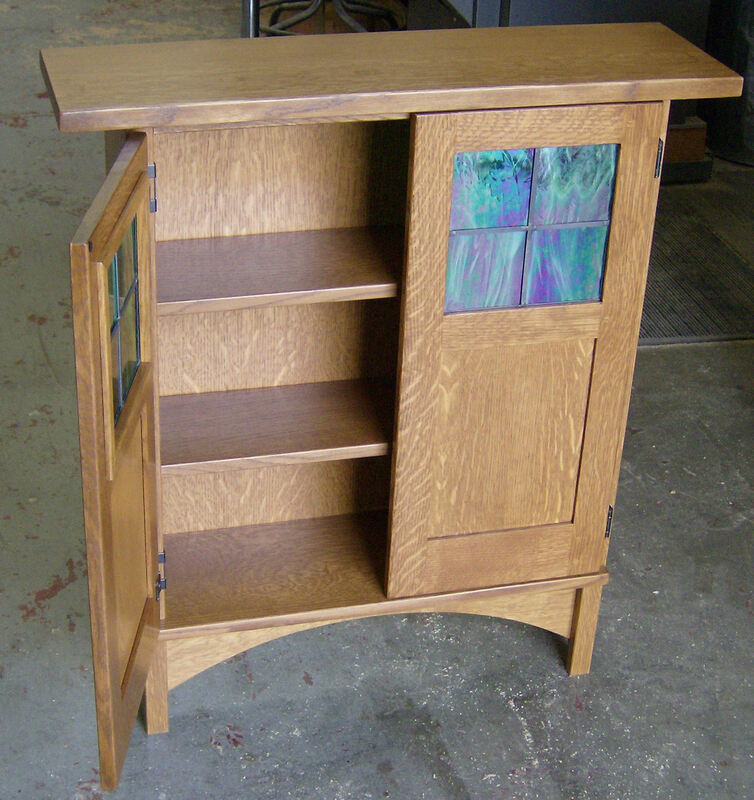 Leaded glass stereo cabinets and pullout pantry sections on the backside. 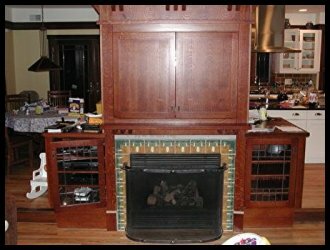 Fireplace surround features exotic wood inlays.